Ours was exhausting and full of home repairs from the damage we suffered during that awful hail storm back in April. This weekend out roof got completely replaced. The crew worked from sun up to sun down all Friday and Saturday. Sunday was dedicated to do all the clean up. What a mess! Can't explain to you what our yards ( front and back) looked like. More repairs continue, windows, gutters and siding. Hope we never have to go through this again. Last week we had another fabulous party. Lets visit some of those bloggers! 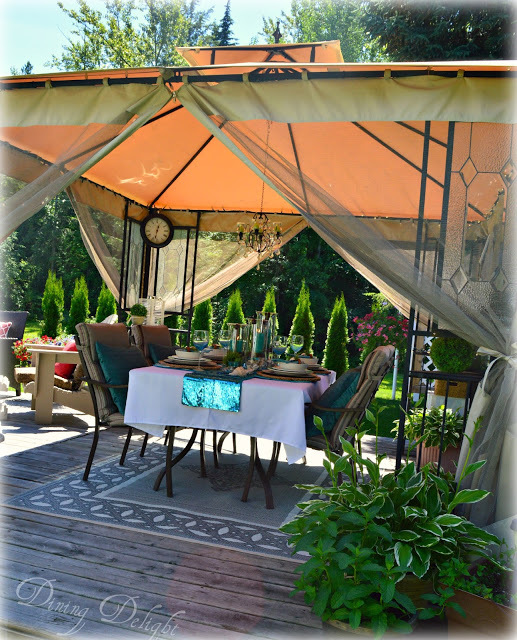 Lori at Dining Delight created a gorgeous summer tablescape in her cabana. 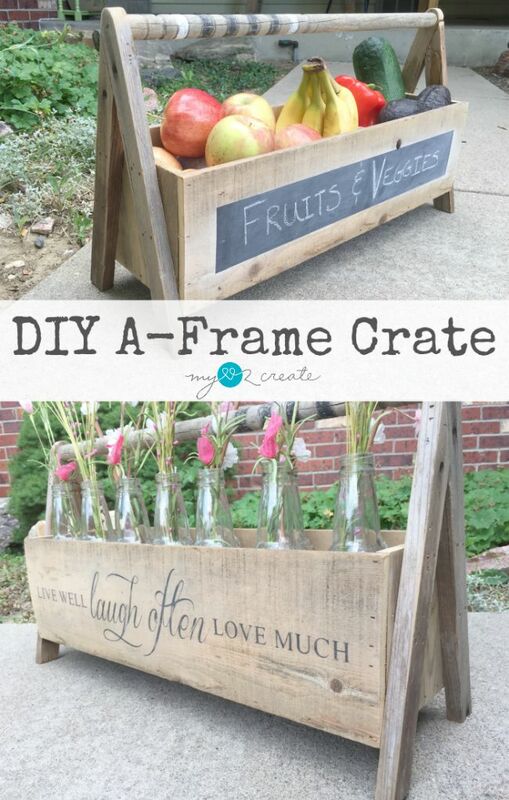 Mindi at My Love2Create built a beautiful A- frame crate. 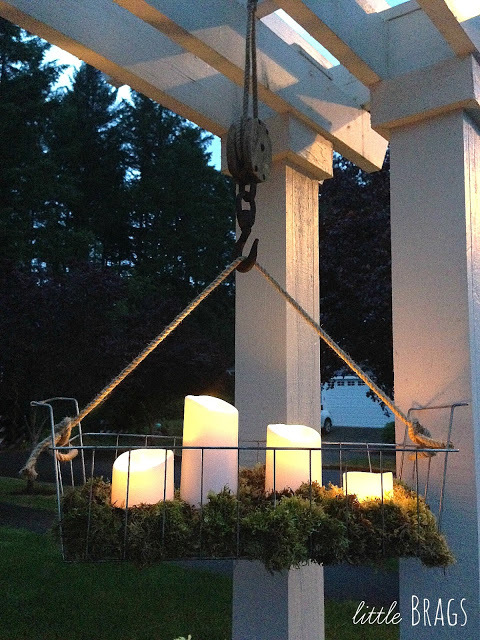 Christine at Little Brags shared how to DIY a wire hanging basket on an old pulley. 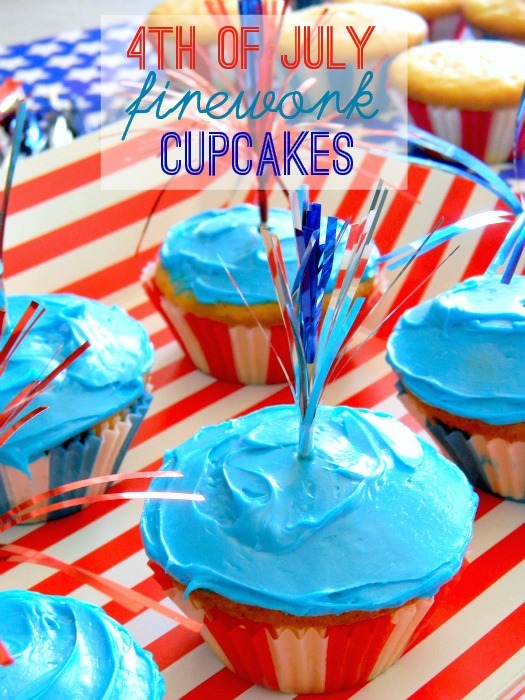 Jessica at Living la vida Holoka made beautiful 4th of July firework cupcakes. 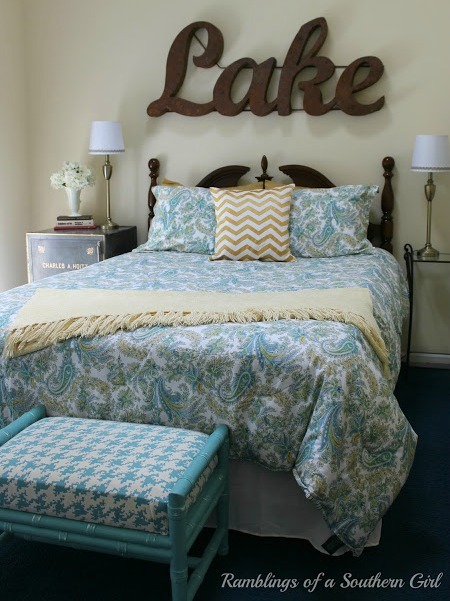 Rhonda at Ramblings of a Southern Girl gave her lake home a beautiful bedroom makeover. Brooke at Creative Country Mom's Vintage Home & Garden shared a beautifully decorated corner of her home. 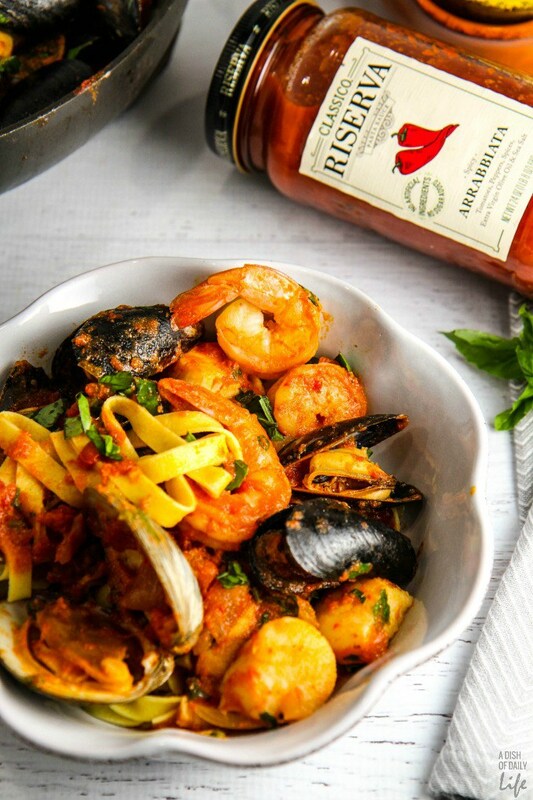 Michelle at A Dish Of Daily Life shared a wonderful seafood pasta recipe. Thanks so much for hosting each week and thanks for visiting!! 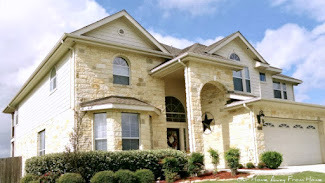 With the way your patio was looking I never thought your had all this being done to your home! Thank you so much for hosting! Bless your heart, dear friend! So~o`o sorry that you are going through all the needed repairs from the devastation of the storm. Try to remain focused on the prize ahead. Thank you for hosting Tuesdays At Our House! each week! You are so kind to feature my "Beach Tablescape in the Cabana" post and I appreciate being chosen from among the many fabulous links you could have highlighted. Always a thrill for me! Thanks for hosting this lovely party especially when you obviously have a lot going on at your house. No doubt, it will all be worth it once things are back in shape - hope that happens soon. Maria Elena, I know exactly what you're talking about. 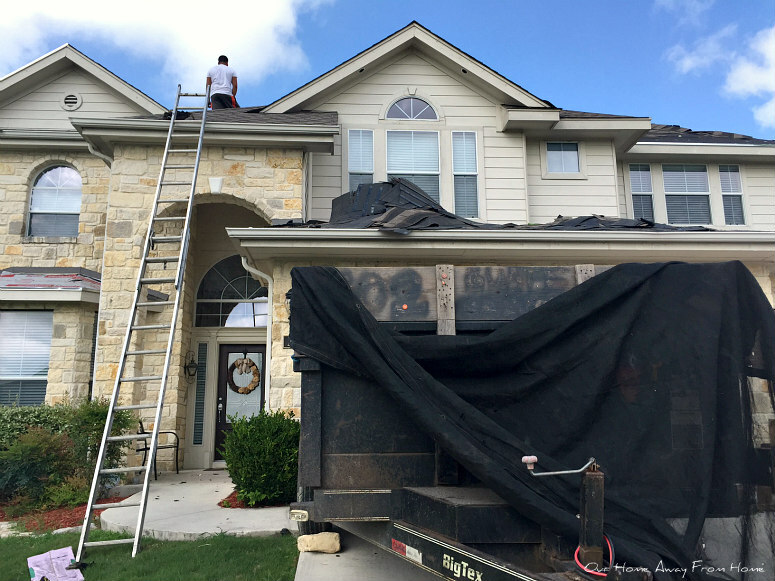 We just had our roof replaced last week; and it was a mess around here! We still have one window and several window casings, gutters, etc. that have to be taken care of, as well. That hail storm was horrible! Thanks so much for still finding the time to host your great party. Glad to link up! Oh my Maria, what a hectic job fixing the roof is. Anyway, it's done... thank goodness. 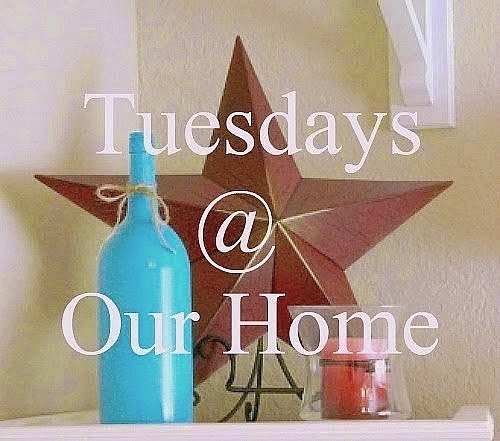 Thank you Maria Elena for Tuesdays At Our Home 166. Maria Elena, muchas gacias for yet another feature here at Tuesdays At Our Home!!!! Wow I can well imagine the mess this made with al those shingles being scraped off. I imagine now you are greatly relieved to have this done since it's such a huge job. Hopefully all the other repairs will be done soon and you'll be back to normal. Thanks for hosting! thanks so much for the great party! Wow, what a ton of damage you received! 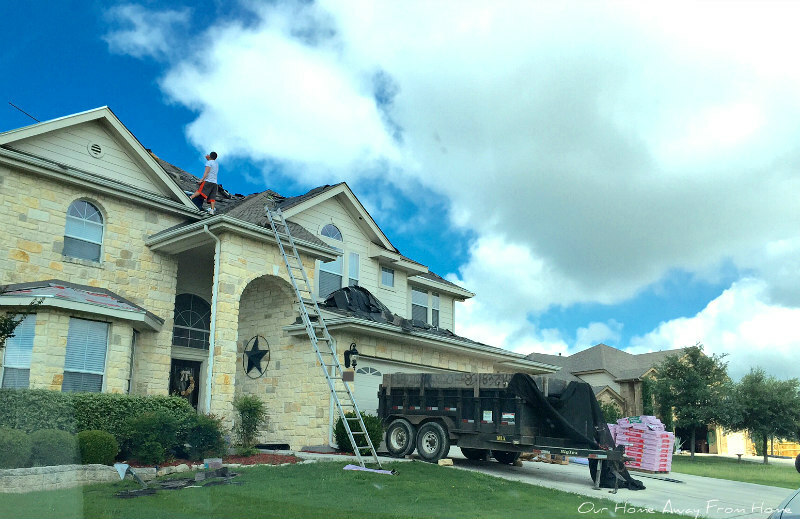 It sure is nice to have a new roof, but I know about all the work that is involved cleaning up afterwards - eek!! Did your gardens get damaged? I know you're glad to have that new roof on! We had to have ours replaced last summer (about a year ago, actually) from a tornado. Thanks for hosting the party!